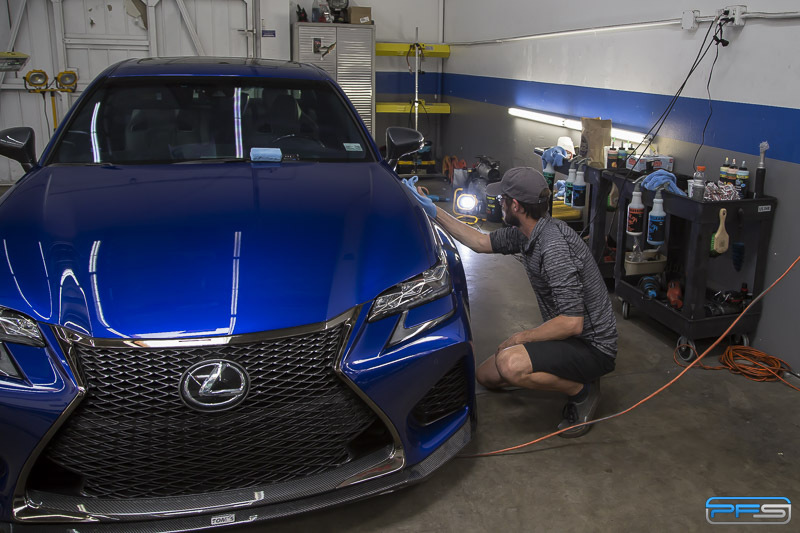 Our cutting edge shop in Santa Ana, Orange County California, focuses on the installation of clear bra paint protection film and car wraps. The attention to detail does not stop there however. At Protective Film Solutions our specialty is the application of automotive films. These include clear paint protection film (PPF), vinyl car wraps, window tint and windshield protection. With modern automotive film technology we can protect your vehicle’s paint and windshield. For further protection, we offer nano-technology ceramic coatings. Ceramic coatings not only aid in keeping your vehicle clean but they represent a good solution for areas that are not normally covered in film. Not only that, we treat PPF and vinyl with ceramic coating in order to increase longevity and help keep the surface clean. Vinyl is generally more porous than automotive paint. A ceramic coat seals those pores permanently and yields a perfectly slick surface that will remain clean longer. To further extend the one-stop shop solution, we offer top quality paint correction. Before you coat a vehicle it should be paint corrected to perfection. This will yield the best look and long lasting results. You will want your paint to be perfect before the installation of clear bra or Ceramic Pro, our team of renown detailers can do that for you. At PFS we also offer services such as brake caliper painting for that much sought after finishing touch. The list of main services is below. Check out each section and click on any of the services below to go the detailed page for that service. 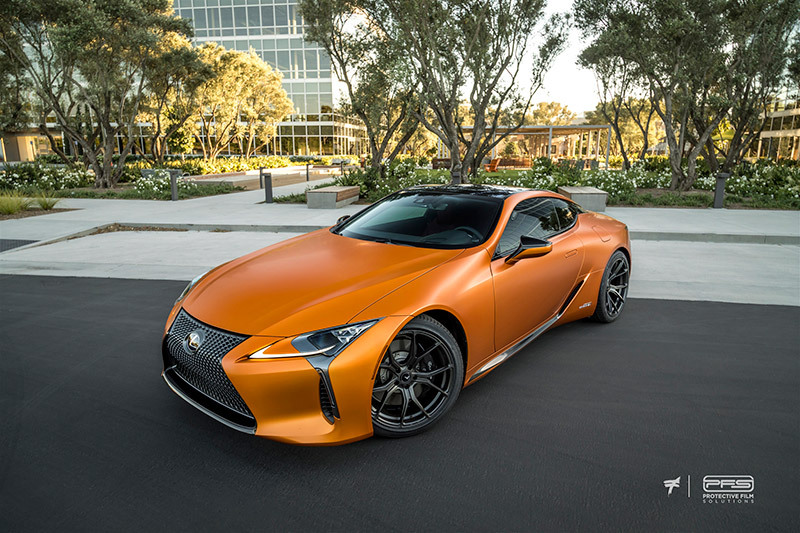 Keep your vehicle’s finish looking showroom new with paint protection film. Otherwise known as clear bra, clear paint protection film is self-healing and will protect your car’s original paint from the elements. Damage protection includes rock chips, bugs, tar and minor scratches. You can do just the front end, or the entire car! Paint protection film installation on exotic cars is what we’ve built our reputation upon. We offer Xpel Ultimate for a gloss finish. 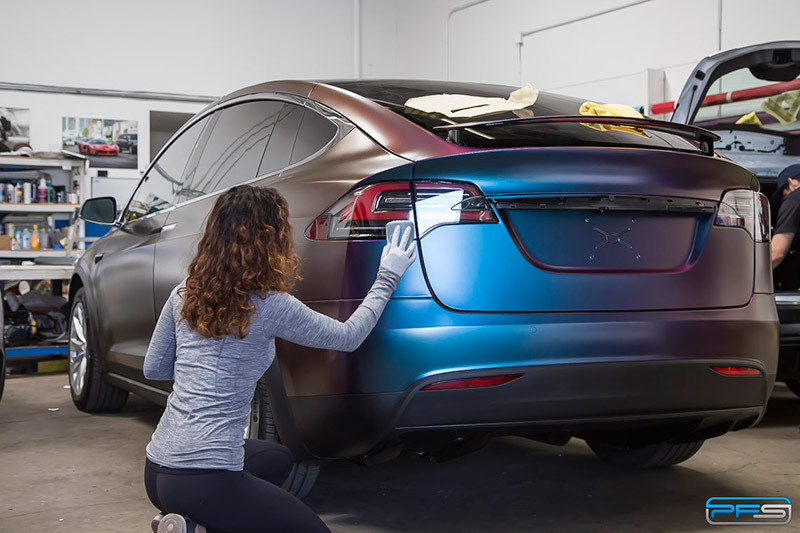 If your vehicle is matte, or you desire the matte look, you can opt for Xpel Stealth satin film. 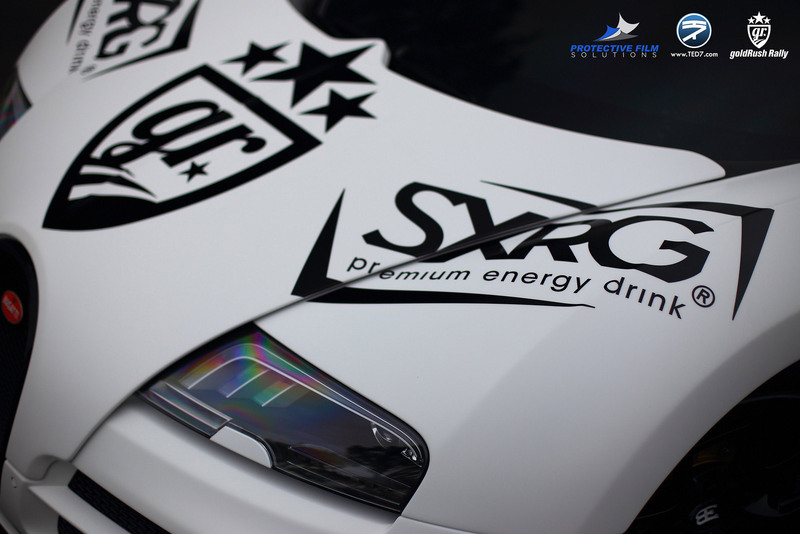 Vehicle vinyl wraps represent the absolute best way to change your car’s color and appearance without affecting the factory paint. 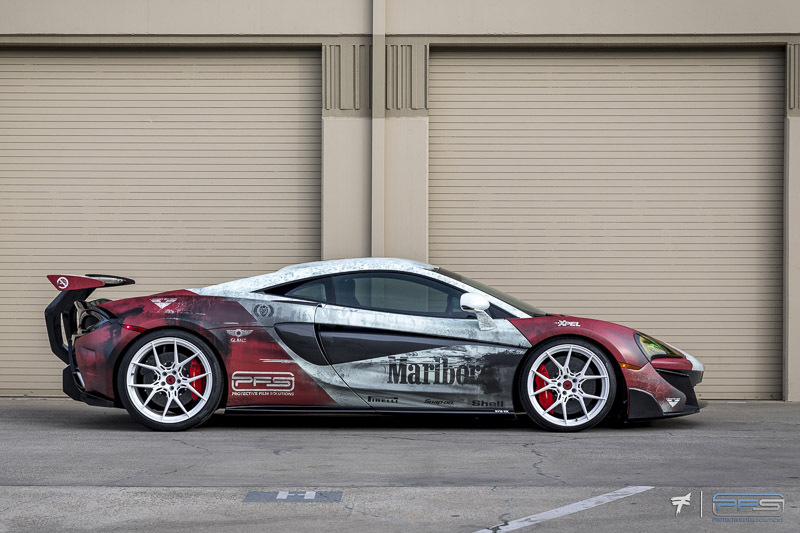 With a car wrap you are free to do whatever you want in terms of color and design. You are not limited to the confines of paint. The best part is, once you’re done with it, you can have the wrap peeled off and your car’s value will be intact thanks to the perfect factory paint below. Oftentimes, it’s better to wrap your car than replace it if you are in need of a nice change. Promote your business, brand or product while you drive! There is no better way to get the most out of your vehicle than to use its exterior for promotional purposes. This is great for private cars and a must-have for fleet vehicles. With an advertising wrap you can turn any vehicle into a moving billboard. Don’t forget to include commercial wraps in the marketing plan for your brand. Get the word out! Windshields are expensive to replace. This is even more of a concern with high-end vehicles. Not to mention, the downtime and the hassle caused by the need to replace a cracked windshield is enough to make you consider protecting it. If your vehicle sees regular track use, protecting your windshield is even more important. At Protective Film Solutions we use install ClearPlex windshield protection film to solve this problem. ClearPlex windshield protection film protects your glass from chips and cracks produced by the impact of gravel and pebbles on the road or track. Window tint is likely the number one vehicle modification in the automotive industry. That said, it is not a commodity. 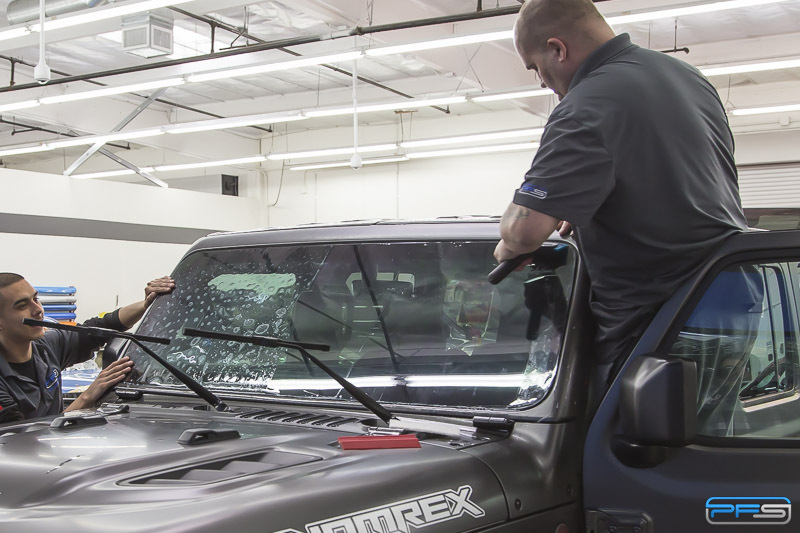 The same care in craftsmanship and material quality that’s applied to clear bra should also be used for window tint. In other words, not every window tint service is the same. At PFS, we use the very best window tinting film in the industry from the likes of 3M and Pentagon. Combine this with the skill of installers experienced in working on super cars and you have the ideal recipe for a perfectly tinted windows. Glanz Premium Ceramic Coating is a technically advanced permanent protective coating. We offer full services for the application of Glanz Ceramic Coating to protect paint, wraps or pain protection film. This new ceramic coating technology is harder than clear coat and extremely scratch resistant. It protects your vehicle from scratches and prevents contaminants from penetrating the protective barrier. Glanz should be applied to perfect paint, so we also offer paint correction service if needed. Glanz Premium Ceramic Coating is focused on durability. The formula is chemically engineered and focused specifically on the base coat to be the more durable than anything else on the market. Prep is one of the most important steps before the installation of paint protection film or the application of a ceramic coating. Achieving a perfect finish is specially important before coating since PPF actually hides some imperfections but a ceramic coating works with the surface it’s applied to. At PFS our team of seasoned detailers can polish paint to perfection in preparation for film or coating. 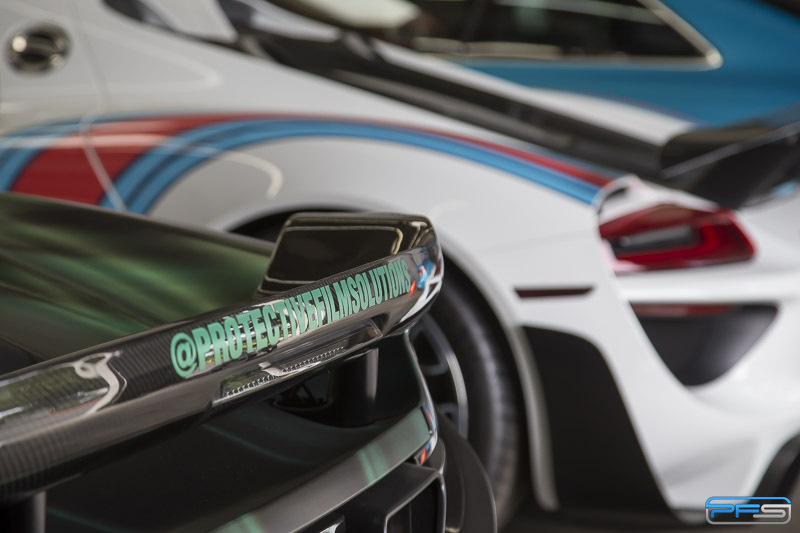 For those who need it, we also offer paint restoration for older exotic vehicles. You would be surprised as to how much we can improve paint with light scratches, rock chips and pitting.